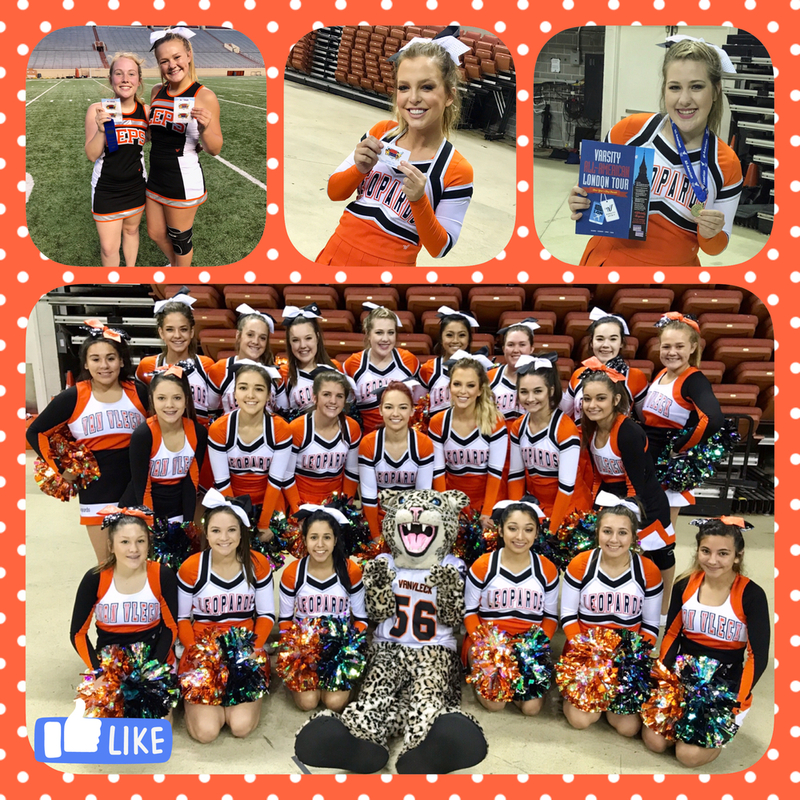 The Van Vleck High School cheerleaders had an excellent time at UCA Cheer Camp at the University of Texas this week. The girls learned new skills, built up their team spirit and brought home a few awards. The girls earned 2 excellent red ribbons and 3 superior gold ribbons along with 3 trophies for their performances on the last day of camp. Hannah Ivy, Michaela Bormes and Faith Cornett were recognized for displaying amazing leadership skills when they were awarded the "Pin it Forward" pins. Jenna Schulz was named an All American Cheerleader for the 2nd year in a row. The girls are pumped up and ready for another school year of sharing their Leopard Spirit with the community!